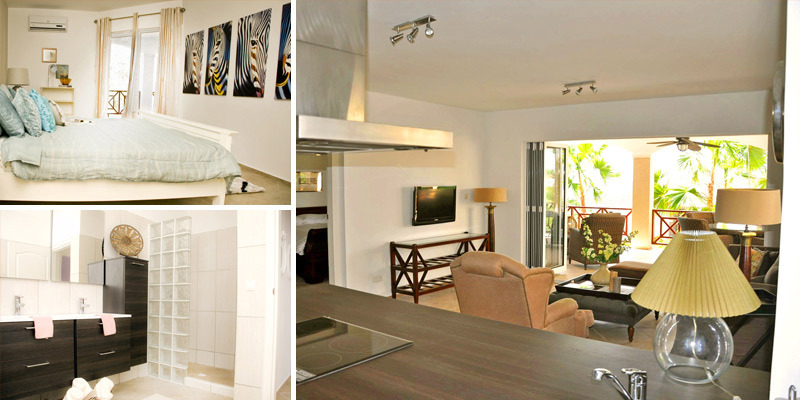 Luxurious and spacious ground floor apartment for sale in Residence Le Bleu. A lovely place to peacefully enjoy the many amenities Blue Bay has to offer and the ever so coveted island lifestyle. A ground floor apartment measures no less than 170m2 of living space. 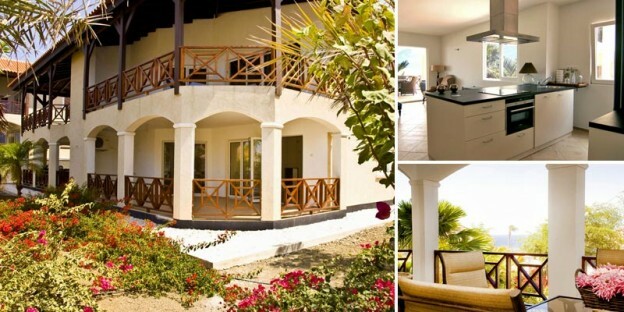 Various apartments offer gorgeous views overlooking the island and/or towards the ocean. The entrance of his home is situated at the side of the building. A spacious entrance leads into an entrance hall that offers access to various rooms, including the living. From this spacious and bright living room, glass harmonica-style doors open up to a spacious roofed living porch. You will enjoy the refreshing trade winds practically all year round, keeping the heat at bay. At the rear of the living you’ll find a luxurious semi-open kitchen concept including an American style double door fridge, microwave/oven combination and a dishwasher. This luxurious home features a full master suite with a private bathroom and a walk-in closet. This room also directly connects to the porch. The two other bedrooms share a second luxurious bathroom. Furthermore, these apartments come with a separate laundry/storage area. All rooms are prewired for TDS television, phone and/or internet connections. Plenty of outlets for 220V appliances are available. All windows and sliding doors are of maintenance friendly German fabricate, all windows feature tilt & turn functionality. The apartments at Residence Le Bleu feature wall insulation. All bedrooms come with brand new conditioners that use less energy. The combination with the wall insulation may save you up to 30% in use of electricity. These ground floor apartments are well suited as investment property for long term rent. Demand for quality rentals in desirable neighborhoods like Blue Bay is high. Please do not hesitate to inquire after homes available for sale and leased for the next few years. Residence Le Bleu was designed in 2012 by the renowned architect Jean Pierre Agniel and built by project developers Gert Bongers and his son Raymond. Residence Le Bleu accommodates a total of 32 apartments in eight attractive classic Caribbean buildings. Every building hosts 2 first floor apartments and 2 penthouse apartments. Residence Le Bleu is situated up against a hill in Blue Bay Heights, the most exclusive section of Blue Bay Golf & Beach Resort. The apartments and penthouses are situated in a lush tropical landscaping with mature palm trees, a beautiful communal pool and ample parking space. The location and design of the apartments allows for optimal natural air cooling by the ever present trade winds. In order to ensure a peaceful and relaxed environment for all residents at the resort, short term rentals to tourists are not permitted. Apartments can only be rented out for long term only, the minimal lease term amounts to 12 months. Residence Le Bleu has an outstanding safety track record; security is being monitored well by Blue Bay Golf & Beach Resort. Residents of Residence Le Bleu get access to both the communal swimming pool at Residence Le Bleu, with tiki and artificial lawn, and access to the beach facilities at Blue Bay Golf & Beach Resort. Residents also get to use two parking spaces per apartment. All amenities are nearby at Residence Le Bleu: Blue Bay Golf & Beach Resort hosts a gorgeous beach club with turquoise blue waters, a swimming pool and toddler pool, the well respected Azzuro restaurant, a beach store, diving shop, massage pavilion, tennis court and exercise room. A large and well stocked supermarket (Centrum Supermarket) as well as a farmacy (Botica de Savaan), family health practice, gas station and various schools (from kindergarten to university) are nearby. 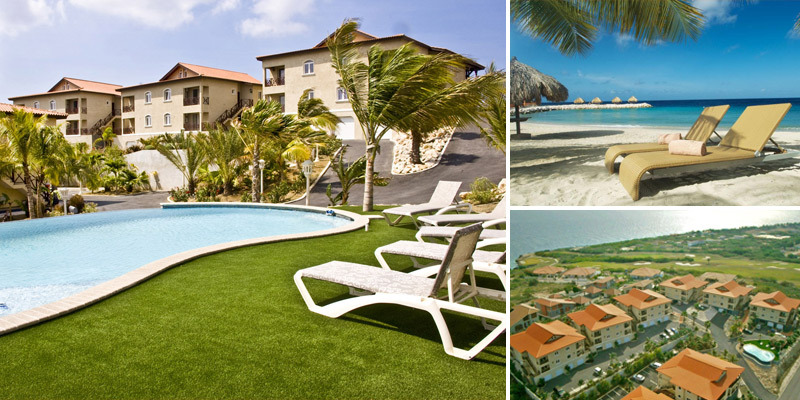 Downtown Willemstad, with its various monuments and highlights, is only a 10 minute drive away. Even when you desire to explore the rugged west side of the island, Residence Le Bleu would be a perfect spot. This entry was posted in Sales on November 13, 2014 by Ray Bongers.